It’s not always easy to quantify what makes directing “good” but you know it when you see it. Or maybe not. Either way, you definitely know a drama is brilliantly directed when you experience the feels. We’ve all definitely had our fair share of the feels when watching a particularly engaging drama, and we can thank the directing for playing a large part in that. Number 4 on our 2014 Countdown: Best Directing! Anna: For me, the best directing in a drama in 2014 has to be for the Chinese drama, Battle of Changsha. Not only was the series wonderfully written and acted, the artistic elements in it really contributed in making it a worthwhile watch. Although I’m not racing out to rewatch Changsha anytime soon because I’m still slightly heartbroken from it, I really appreciated how the directors (Kong Sheng & Zhang Kai Di) were able to capture every little emotion from the characters and their actors. The choices they made in the drama, like filming the ash in the sky as if it were rain or focusing the camera on a couple’s tearful goodbye for a second longer, truly enhanced the viewing experience. When watching Changsha, so much of it felt more like moving art (as corny as that sounds…) than just your run-of-the-mill WWII drama. Estelle: Incomplete Life/Misaeng definitely wins the best director’s category. Despite having a semi-rookie team of actors, director Kim Won Suk was able to make this series both engaging and emotional in every sense of the words. Office setting stories can easily be boring and dry, especially when its trying to closely portray the real world, but under Kim’s magical hands, this realistic world became an escape of sorts, and I was able to fully embrace the characters and their lives. His pacing and timing for music, or the lack of, was simply perfect. I loved the way he was able to capture every single awkward pause or subtle shift of the body or hands. Unlike most kdramas with two teams of editors and producers switching off, Kim did all the directing and editing by himself, and it really does show! The natural flow of the scenes going from one to the other, together with the beautiful aerial shots made this so pleasing to watch. I looked forward to the weekly dose and I found myself nostalgic for the office cubicle when the characters left it (as if I don’t already work in a cubicle!). By the end of the series I felt like someone leaving her old work place behind, missing it so much, but at the same time fully prepared for a new adventure from the lessons I’ve learnt. Psst. there is talk of season 2 for the manhwa!!! Stay tuned tomorrow for…the Best Cinematography of 2014! 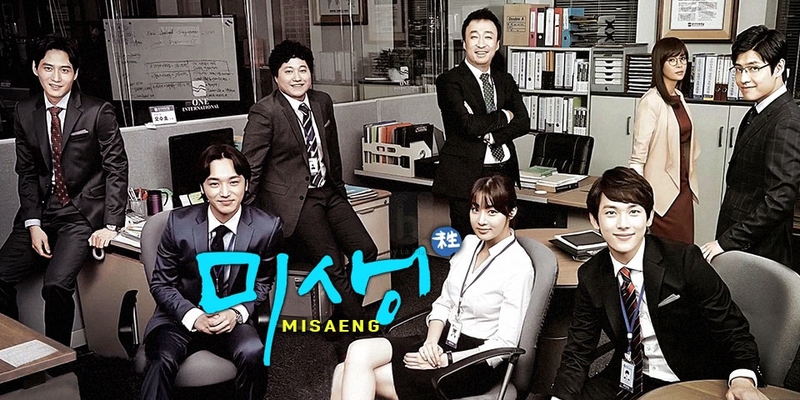 Glad to hear I convinced you to bump up Misaeng on your list! It’s a really awesome series and I savoured every single minute of it. 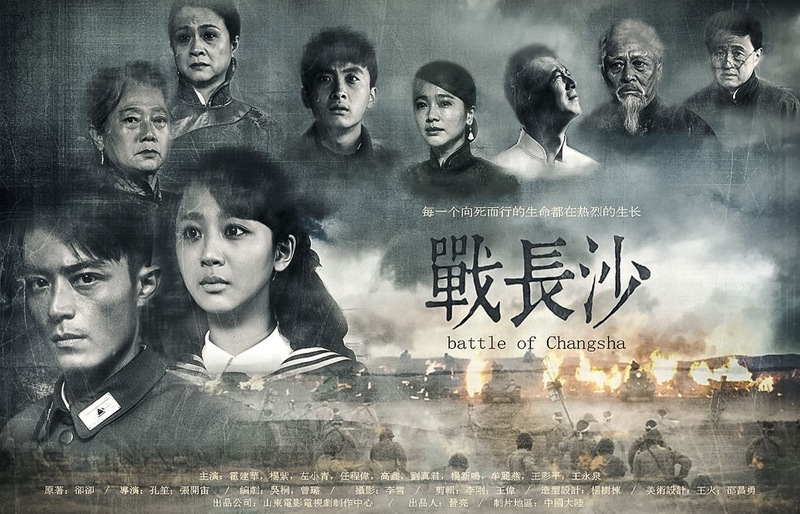 Battle of Changsha is also an excellent choice as your first foray into Chinese dramas. I loved it even though I have grown increasingly tired of WWII themed series, because it was totally refreshing and different. It was actually on TV when I was in China this fall and I watched it AGAIN despite seeing it in the US already. Make sure you ready the tissues though because it sure is a tearjerker! Youtube has it unsubbed and I saw a fan channel on viki that had subs, but the quality didn’t seem to be too good 😦 We’ll let you know if we find anything! I should get prepared for an ocean of feels for Misaeng 😛 I’m semi-tired with WWII-themed, meaning Western movies depicting the Allies’ part, one interesting mini-series was from the German perspective and i watched it a few months ago, Unsere Mütter, Unsere Väter. But i never get tired of WWII themed series in the far East or about the Korean war, especially when you get to see how the sides are being depicted. Being able to visit China and watch it raw even twice puts you in my lucky list 😀 Another drama i wanted to watch is Back In Time because it holds a Reply 1997 sense judging from the story and some pictures i’ve seen, but yet again, no subtitles yet I wanted to read the recaps on this drama here, but i stopped myself because it would be ruining the magic of watching it, so i’m still hoping for subs 😛 Yep, viki quality of the series wasn’t good and such dramas definitely require a good quality in order to get devoured by their aesthetic. Korean dramas have no problem with subs, Japanese dramas require some patience, but eventually they appear, even if it’s one month later, but Chinese dramas are another universe in terms of sub-waiting 😛 It’s one of the reasons i haven’t started yet the dramas that felt intriguing, the other one was the number of the episodes, it feels kind of threatening! I guess if you get used to it it’s another drama achievement unlocked. Sorry for the lengthy comment and thanks a lot in advance if subs appear! Yeah, the length of Chinese dramas is daunting even for us. Why can’t they take a hint and end about 20 episodes in? Anyway, I’m tackling a 82 episode long series right now (more on that on Wed), but who knows when I’ll finish. Back in Time is out w/ a movie version that we are going to try to see. I don’t know if it’s subbed since it’s airing in the US but we will have to see! I don’t love the series nearly as much as Anna, but I LOVED Reply 1997 (1994 was a bit disappointing). I thought 1997 story was better, but you are right about the theme. Speaking of WWII, we saw The Imitation Game today and I thought it was pretty good, despite it being from the Allies perspective. Have you seen Inspiring Generation by any chance?